Here you will find some additional information about the Online Services and how to use them. Go to Borrowbox or Open your App. You can start browsing straight away. 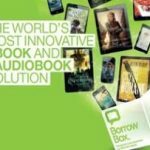 Decide if you want to search for Ebooks or E-Audio Books. Zinio offers Free access to a wide variety of Magazine titles, including magazines like Marie Claire, Top Gear, The Economist, Men’s Health, 220 Triathlon, Runners World, Android & Much More. To Register you will need to visit Zinio Magazine Library and click on ‘Create Account’ on the top right hand of page. 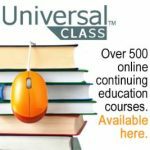 Universal Class is a self-paced forum for Online Learning. The courses are not just tutorials; they are real. They include lessons, exams, assignments, discussion boards and an instructor to help you master the learning outcomes. The Courses are not FETAC accredited but could act as a useful springboard to prepare you for a return to study, or perhaps to support a course you are currently undertaking. Once you have completed the registration process an email will be sent to the email address which you supplied. You will need to click on the link sent within this email to Verify your account. Your email address MUST be verified before you can begin a course. Once you have selected the Course you would like to take, click the ‘Join this Couse’ green button beside the course details and follow the complete step-by-step instructions. 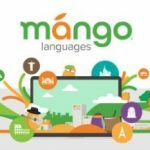 Mango Languages is a fun and interactive way to learn 70 International Languages. You can log in using your 6 digital library card number in the ‘Guest Access’ box. However, if you wish to keep track of your progress it is advised that you set up an account. Once you have created an account you can use the email and password combination for future log ins. Select ‘All Languages’ to view the complete list of Languages available. Once you decided upon which language you would like to learn simply click ‘Get Started’ and follow the simple step by step instructions. Proquest database offers access to 939 National & International Newspapers as well as 112 News Wire feeds. Basic Search – Type in a word or phrase and search. Advanced Search – Search within search field such as author, publication title, persons, location, publication type etc. Publication search – Search for specific Publications and search within specific publications. Proquest also enables you to create a ‘My Research’ Folder to save your results and provides Citation/Reference details which can be used in Bibliographies etc.